I am preparing for a session this Saturday with my players, but I have a concern about the next session. My players will be on a bridge about 20 feet high above the ground. There is a hydra under the bridge. And a hydra's Bite attack has a 10-ft. reach. If the Hydra is standing below the bridge, will it be able to attack the players? If I am reading the rules correctly, it seems that when I place my little 20" x 20" token on the floor under the bridge, it can only attack with its 10-ft. reach, meaning it could only reach halfway up the 20-ft. bridge. But doesn't it seem silly that a huge creature 20ft high can only attack 10 feet high? Or is it the case that I should be putting a cube down that is 20" x 20" x 20", and it has a 10 ft. reach beyond this cube? Please help me if I am misunderstanding this! In short, the hydra should reach the players. As most combat in DnD happens on a level battlefield the rules for vertical combat is a bit fuzzy (i.e. up to the DM's discretion). For example both a human and a wolf are Medium creatures, but a wolf can't reasonably be expected to reach the same height as human without some effort (such as jumping etc.). Similarly, the reference image is a bit misleading as the (Huge) giant has a more humanoid aspect ratio and therefore reaches 20 ft. of height. However a hydra is more wolf-like and so is not. Reasonably you could say the hydra is a (15x15x15 ft.) Cube and has a 10 ft. reach from this. This would allow it to reach the characters on the bridge without any trouble. Though we use 2D maps to represent encounters, it is an abstraction that makes it easy to play using figures or counters to represent the position and size of things. Sometimes we need to consider the vertical dimension just as you are doing. A huge creature's space is defined as being 15'x15' on a 2D map, but when considering 3D, unless you have a specific reason to decide otherwise for some reason (a slime that cannot rear up for instance), this 15' extends into the vertical. The reach of a creature can be measured from any part of the edge of that creature's space, so the hydra in question can hit anything less than or equal to 25' from the ground, 15' due to it's size and then a 10' reach. The important thing to remember about a creature's space is that it is not a description the volume that the creature takes up (otherwise all creatures would be cubes) it is the space that a creature "controls" due to factors such as it's size, it's speed, how much it moves etc. with reach used to describe the of length arms, weapons, tentacles, necks etc. outside this base space. To make it easy to run and not have to do maths all the time it is made simple by defining size and reach for each creature. Common sense on behalf of the DM should always be applied to this (this is a primary part of your job), and in this case it is clear that a hydra would be able to rear up and attack the bridge, and your encounter is a good one! Not the answer you're looking for? Browse other questions tagged dnd-5e creature-size reach or ask your own question. How do natural reach and the feat Snap Shot work together? Can reach weapons attack and receive attacks of opportunity with an ally in the way? How does the disengage action work against a monster with the reactive heads ability, such as a hydra? How can the reach of natural attacks be increased? At what point do you leave a creature's reach when moving vertically? 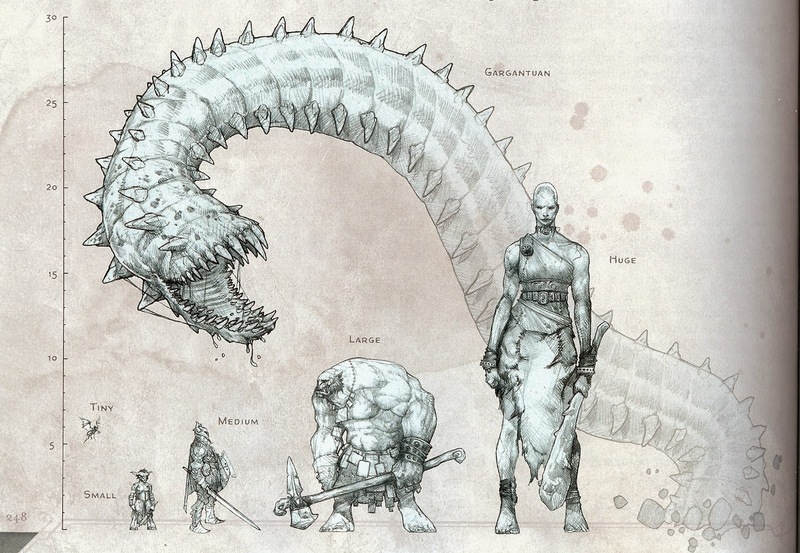 How do I scale up reach when designing a larger monster? Reach and Attacks of Opportunity: How to treat an aproaching enemy? Does the Primeval Guardian ranger's reach increase stack with the Mystic's Giant Growth discipline and a reach weapon?